I realize that we have only just begun the season of Lent and that we still need to get through Easter before we even think about Pentecost. But I noticed that Craig Keener has a short video on the meaning of Pentecost. Keener, you may remember, is the same biblical scholar who wrote a 1088 page commentary on the book of Acts and only covered the first two chapters! Drawing on his work in the commentary and, I assume, his other work on the Credibility of Miracles in the New Testament, Keener explains the historical and theological aspects of the day of Pentecost. I just discovered that John J. Collins gave an interview with NPR about the Dead Sea Scrolls. It is a really good interview! He doesn't just tell the well-worn story about the shepherd boy, but gets into the politics surrounding the scrolls that led to the exclusion of Jewish scholars from the original editorial team. He also discusses what the scrolls teach us about Judaism of the period. Among the important things that Collins points is that once Jewish scholars were allowed to study the scrolls much of the material came to be understood not from a Christian point of view, but one that understood Judaism in the first century. Certainly the scrolls help us to understand the New Testament better, but they are no longer studied simply as a background to Jesus and the New Testament. I highly recommend it as a helpful primer on the discovery and importance of the scrolls. And it all comes with a snappy Irish accent. To listen to the interview of got to Fresh Air on NPR. On a side note, Collins tells the story about when he was asked by Mel Gibson to be an Aramaic consultant for Gibson's The Passion of the Christ. Here is the story. "Just after I moved to Yale, I went into my office one day and picked up the phone, and the voice — that was a recorded message — [said], 'Mr. Collins, this is Mel Gibson. I'm looking for somebody to translate some material into Aramaic. You were recommended to me by Father Fitzmeyer.' I actually asked to see a copy of the manuscript, and he sent it to me, and I read it until I encountered a talking snake, and at that point, I decided I do not want to be associated with this. But I think the actual Aramaic that was produced was quite good. ... That was the least of the problems of the movie." 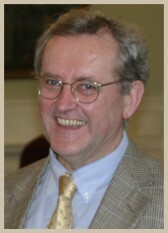 Donald Hagner is emeritus professor of New Testament at Fuller Seminary. Hagner studied at Fuller seminary for his masters degree under the tutelage of George Eldon Ladd. He then went to the UK to study under F.F. Bruce. In recent years he has retired from full time teaching and, from conversations I have had with him, has been enjoying the time writing and travelling. I have always appreciated Hagner's work and his commentary on Matthew is one that I turn to on a regular basis. But when I heard that he had published an Introduction to the New Testament I wondered why.I wasn't sure that we needed yet another introduction. It's not there is any one introduction that is final word. But there are just so many. 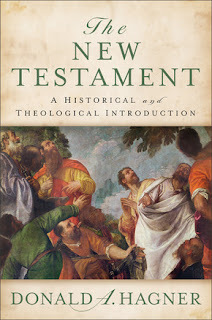 A couple of days ago Baker Academic, the publisher of Hagner's Introduction to the New Testament released two short video interviews with Hagner about the book. I am intrigued! I need to get a copy and read it. The first thing that caught my attention was when Don describes the way he demonstrates the connection between the Old and New Testaments and even includes a chapter on the Old Testament. It is that sort of approach to scholarship that has always made me appreciate Hagner's work. Now I need to get a copy of this book. Here are the video interviews. Enjoy! I completed my Ph.D. in 2002 at the University of Durham in the UK. The title of my thesis was "Slaves of God and Christ : a traditio-historical and exegetical examination of slavery metaphors in Early Judaism and Pauline Christianity." Quite a mouthful, I know. The published version of the thesis was titled Slavery Metaphors in Early Judaism and Pauline Christianity (Mohr Siebeck, 2003). Not much better, I know. But I learned early on that authors don't have a lot of say in the titles of their books. In any case. The University of Durham Library has announced that they are making available electronic versions of theses . So if you are interested to see what I had to say in "Slaves of God and Christ : a traditio-historical and exegetical examination of slavery metaphors in Early Judaism and Pauline Christianity," you can click on the title and you will be taken to it. Funny side story. Several months after I had submitted the thesis to the library I was hit with a moment of vanity and decided to punch my name into the library catalog so I could see my name and thesis on the all important pale green screen. I was shocked to see that while my name was spelled correctly the title of my thesis didn't read the "Slaves of God and Christ" but the "Sleeves of God and Christ." Somehow my thesis about slavery metaphors had been turned into a study of anthropomorphic descriptions of God's clothing. I immediately approached the kind lady at the theses desk and explained to her that the title of my thesis had been incorrectly entered. She assured me that if there was a problem it was not on their end but mine. She insisted that I must have written the title incorrectly when I submitted the thesis to the library. Immediate panic hit me and since the scenario she suggested was plausible I resisted reaching across the desk and choking her. I asked her if she would "be ever so kind as to go and check the hard copy of the thesis" to make sure that this was in fact what happened. As you can see, if you click on the link, the problem was not mine, but theirs. It seems someone on their end (believe it or not) had entered the title incorrectly. So the lesson I learned was that although vanity may be a sin, it can sometimes save you from embarrassing moments. Brian Leport brought this short video to my attention. In it Ben Witherington and Richard Bauckham discuss the book of Revelation and its meaning both for antiquity and today.